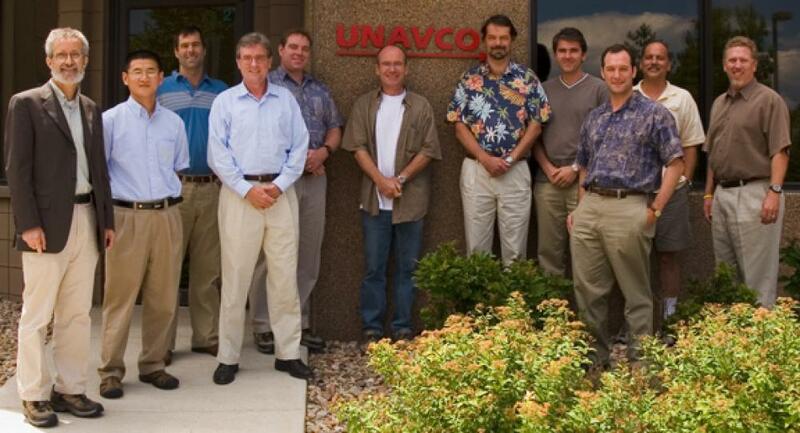 All three GeoEarthScope working groups - LiDAR, InSAR and Geochronology - have now met at UNAVCO. These working groups are charged with identifying and prioritizing potential targets for airborne and satellite imagery and geochronology acquisitions through GeoEarthScope. Each group will submit a report to UNAVCO by August 31, 2006. These group reports will be subsequently reviewed and an overall GeoEarthScope acquisition plan based upon the three reports will be presented at open forums during GSA in October and AGU in December. 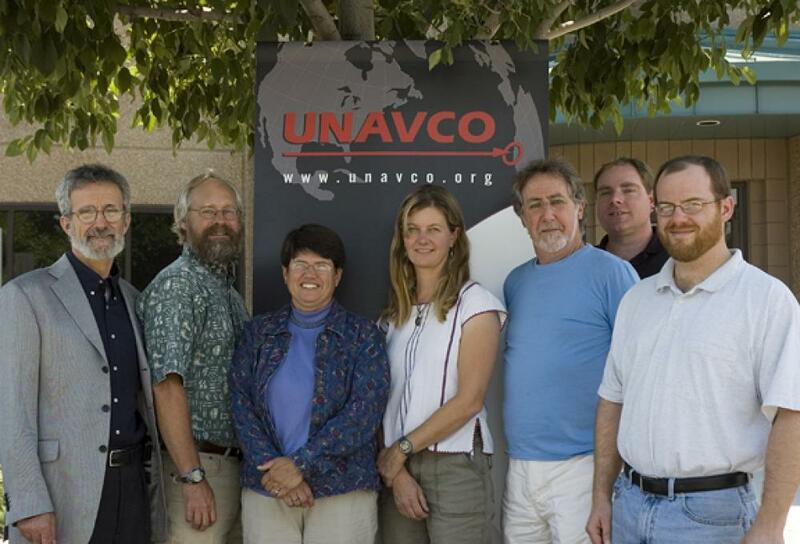 The InSAR working group met on July 11-12, 2006. InSAR working group members include Falk Amelung (University of Miami), Gerald Bawden (USGS, ex officio), Ben Brooks (University of Hawaii), Craig Dobson (NASA, ex officio), Andrea Donnellan (NASA, ex officio), Kurt Feigl (Univeristy of Wisconsin), Yuri Fialko (UCSD; Chair), Jeff Freymueller (University of Alaska), Paco Gomez (University of Missouri), Zhong Lu (USGS, ex officio), Tim Melbourne (Central Washington University) and Gilles Peltzer (UCLA). 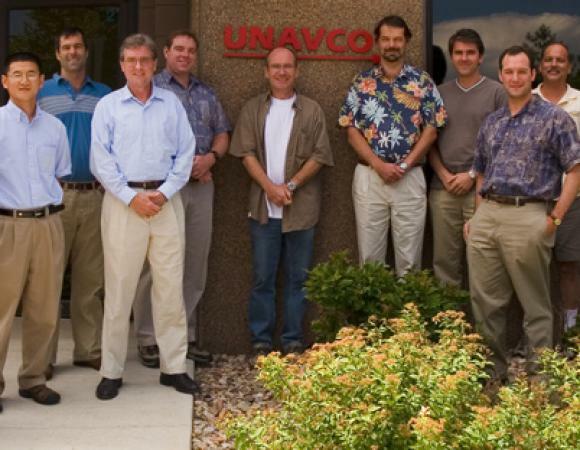 The Geochronology working group met on July 18-19, 2006. Geochronology working group members include Ramon Arrowsmith (Arizona State University), James Beget (University of Alaska), Anne Blythe (Occidental College), Mary Hubbard (Kansas State University; Chair), Eric Kirby (Penn State), David Mogk (Montana State University), Tom Rockwell (San Diego State University), David Schwartz (USGS, ex officio) and James Spotila (Virginia Tech). GeoEarthScope is a component of the EarthScope Project that includes the acquisition of aerial and satellite imagery and geochronology to examine the strain field beyond the decade time scales available from the PBO geodetic instrumentation. For additional information about GeoEarthScope please visit the GeoEarthScope website.